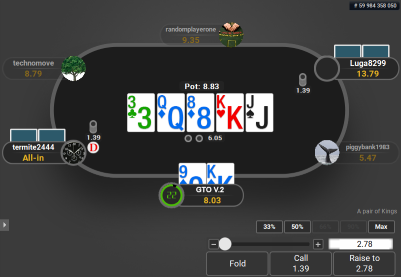 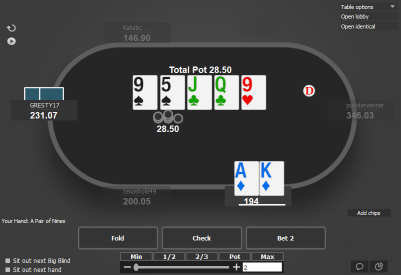 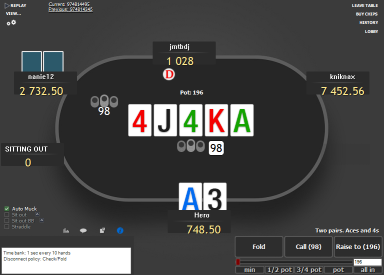 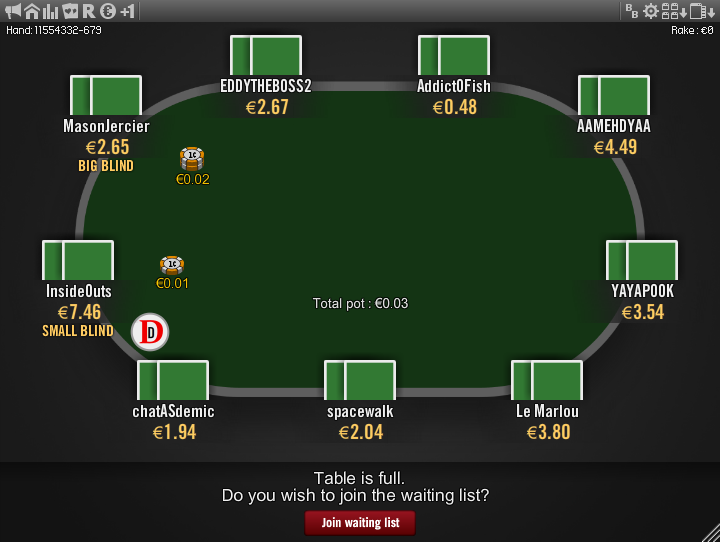 This table theme gives Winamax a very professional look. 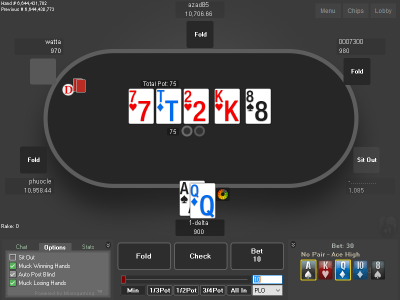 The overall layout is very clean, without any distractions. 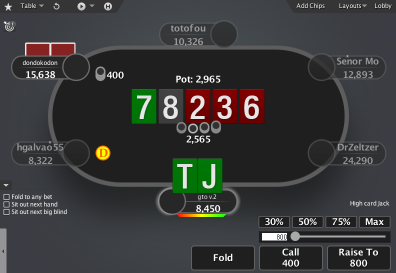 The colour scheme is nice and calm, which compared to the bright colours, will let you play longer sessions, without making your eyes hurt for staring the screen for hours. 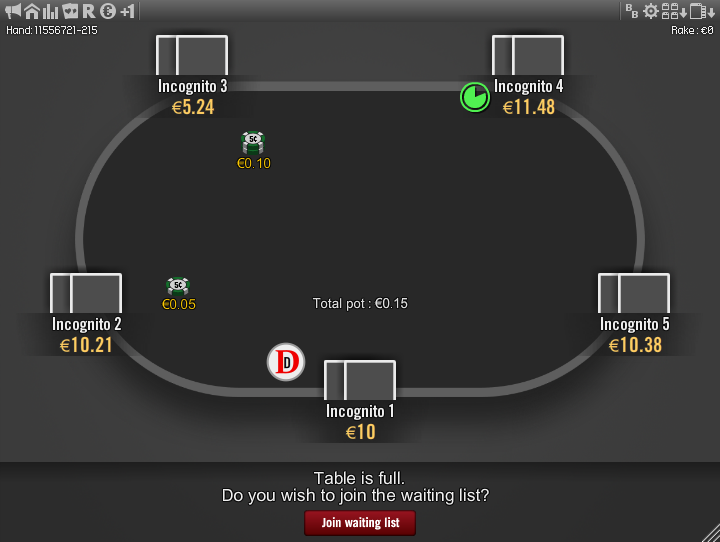 The choice of colours will also enable you to see easily the required information. 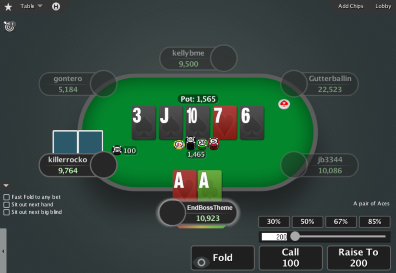 With the choice of several new card backs you can choose the ones that best stand out from the background and from behind your HUD, so you won’t c-bet a hand that is good for HU pot, only to find out later that there was also a third player still in the hand. 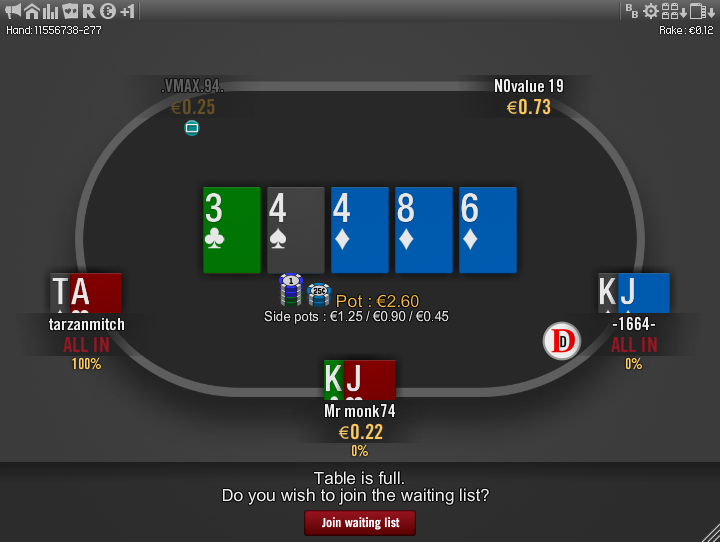 The cards are also perfect for how Winamax displays the hole cards. You can easily see the suit by the colour and the rank is made as big and readable as possible. 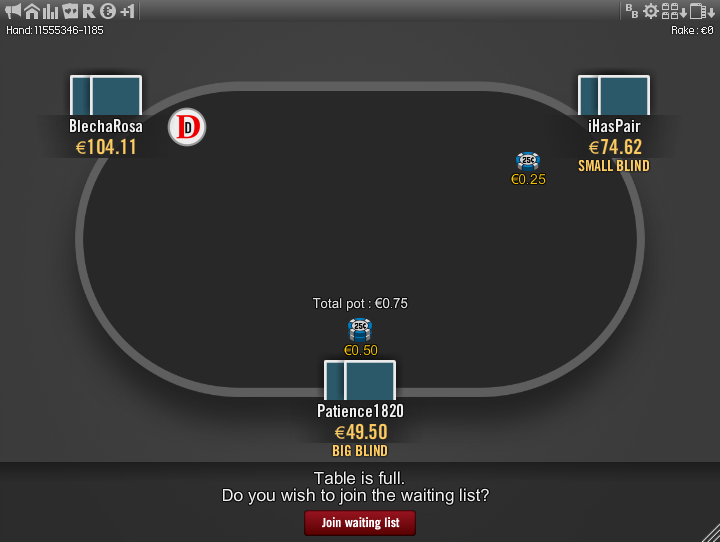 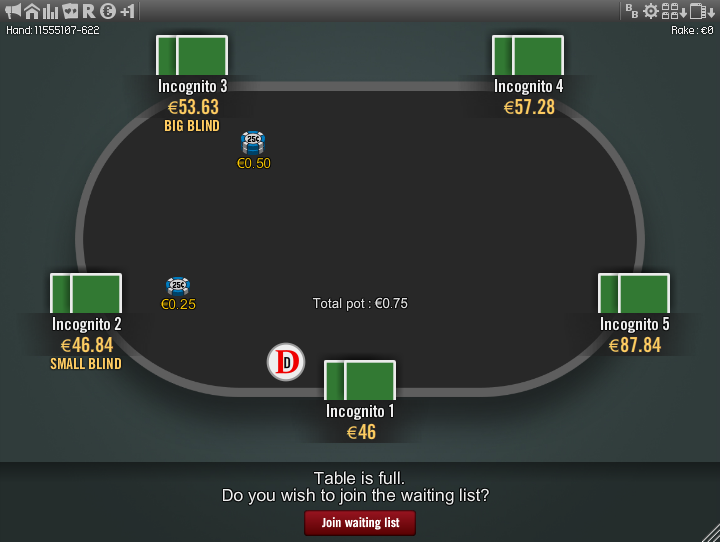 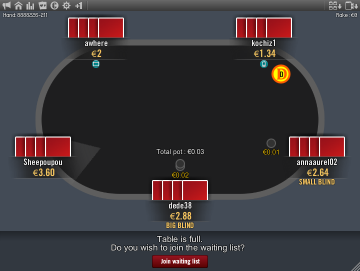 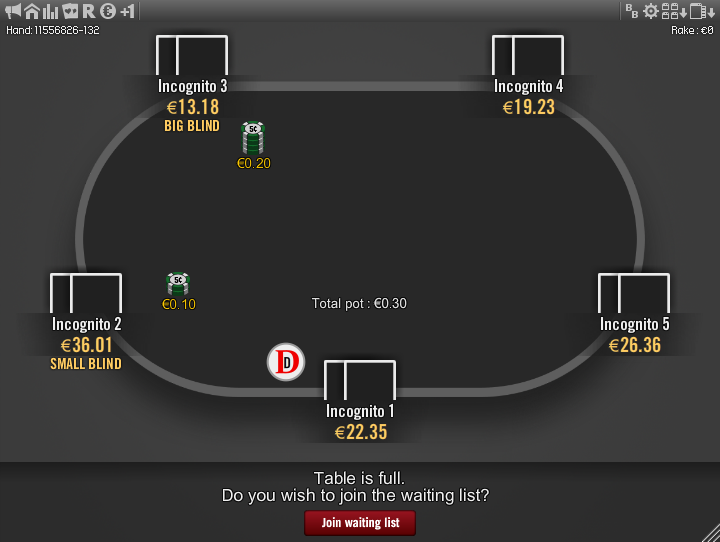 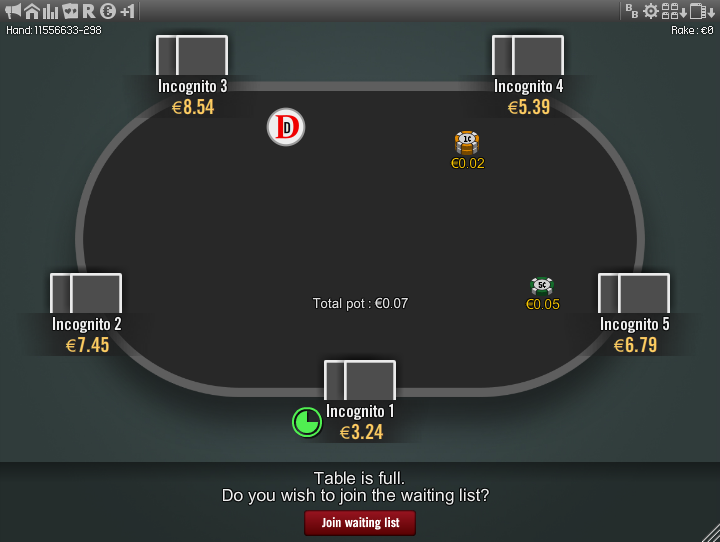 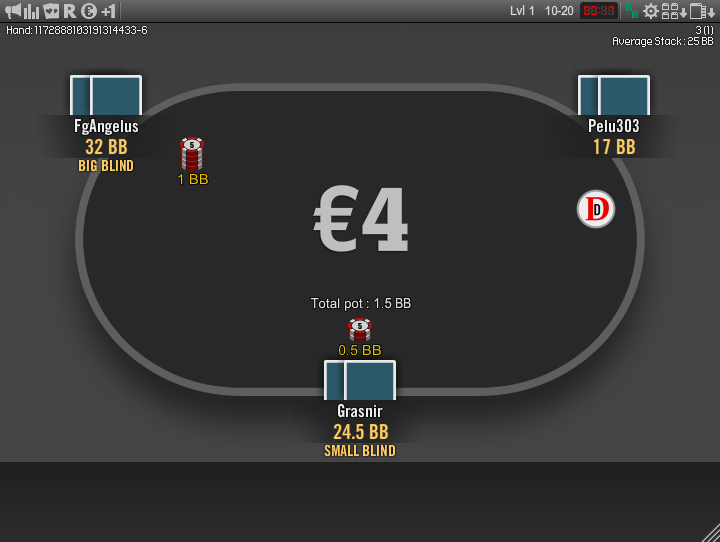 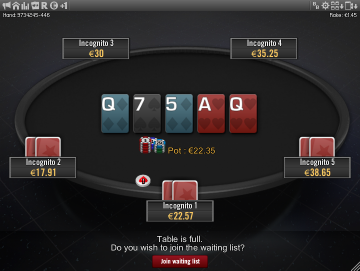 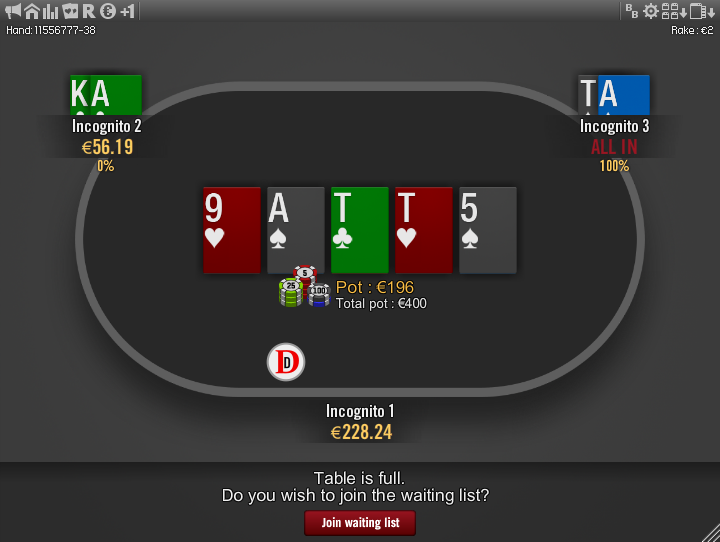 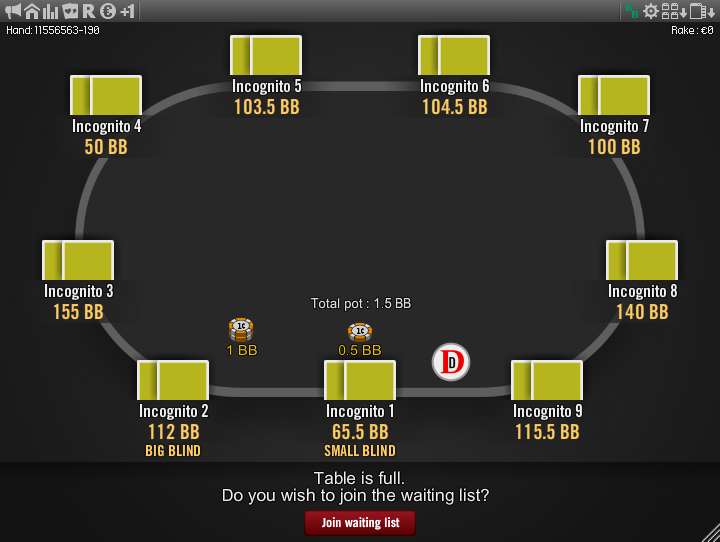 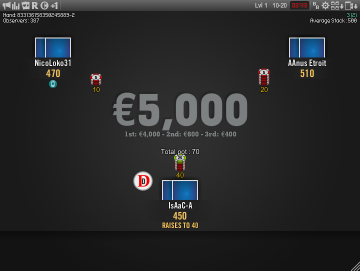 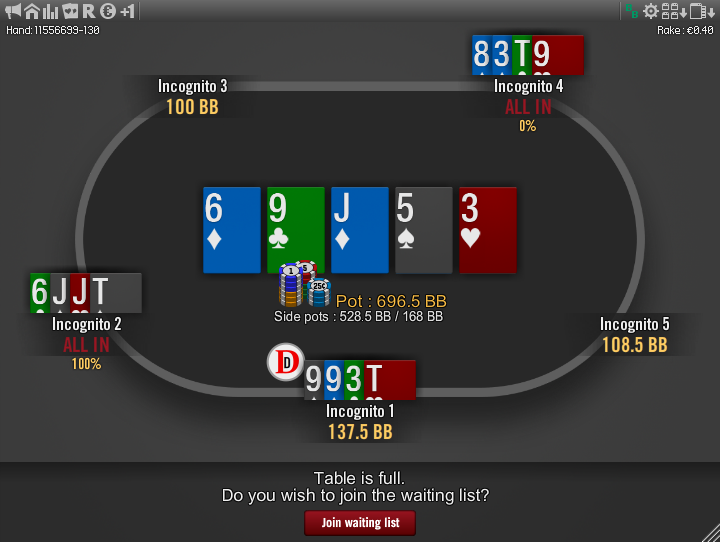 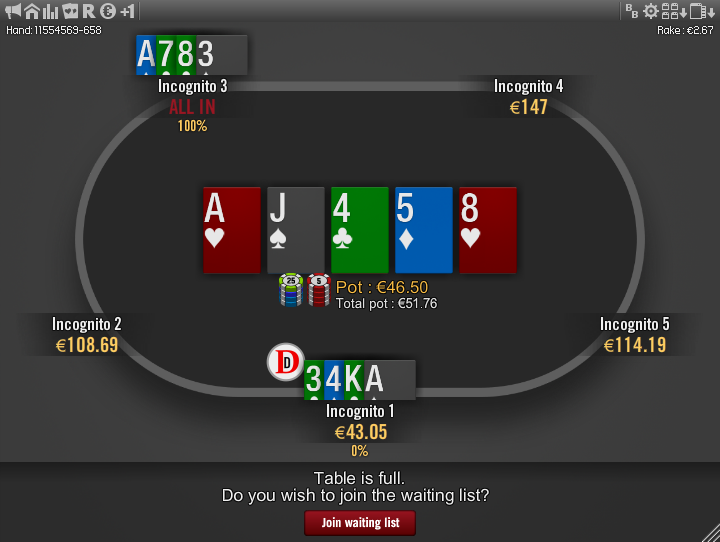 This Winamax layout also works on the Expresso tables, where the default background is a perfect example of how a background should not look – extremely busy and colourful. 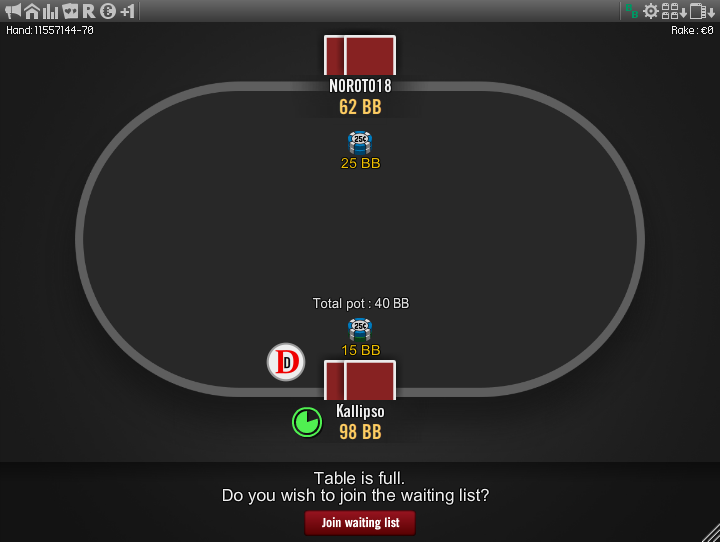 Nothing beats GTO, besides the nuts – and this table theme is the nuts!